It’s that time of the year again where sports fans and film fans come together to watch the Super Bowl. Sports fans come for the blokes kicking an inflated pigs bladder up and down a field (I don’t know, I don’t watch sports), and film fans in the hope of getting a sneak peek at some of Tinsel Town’s upcoming releases. And of course, as it’s 2019 and superheroes have taken over Hollywood (I always presumed it would be a cabal of villains led by Doc Ock if I’m honest), there was only one film people wanted a glimpse at, Avengers: Endgame. There’s a football joke in there somewhere but as I said I don’t watch sports. Anyway, Avengers: Endgame is, of course, the sequel to Infinity War, the 22nd film in the Marvel Cinematic Universe, the biggest film of 2018, and will see the remaining Avengers team up to take down Thanos… we think. If we’re completely honest we don’t know that much about the film and Disney are keeping pretty tight-lipped about the whole project to prevent leaks. What we do know is that they’ll be a few new faces making an appearance, most notably Carol Danvers (Brie Larson) better known as Captain Marvel the most powerful superhero the MCU has ever seen. With Captain Marvel, she is as powerful a character as we’ve ever put in a movie. Her powers are off the charts, and when she’s introduced, she will be by far the strongest character we’ve ever had. Don’t worry though there are a few old favourites set to appear as well including; Robert Downey Jr as the invincible Iron Man, Chris Evans as Captain America and Chris Hemsworth as the mighty Thor. 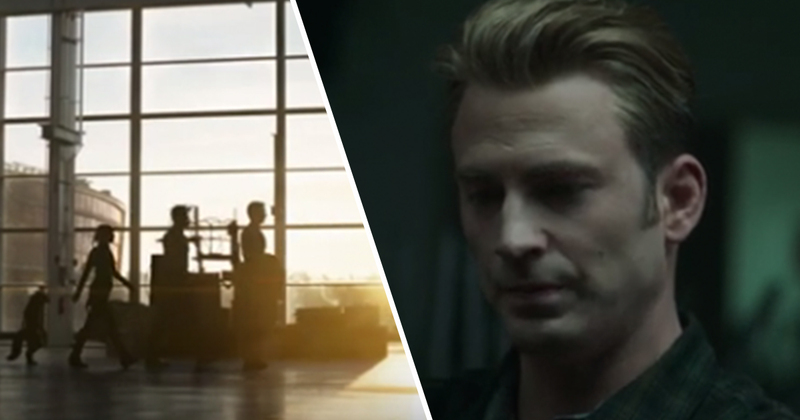 Behind the camera, the Russo brothers are back in the director’s chair (they share it, obviously) and the screenplay’s been penned by none other than Christopher Markus and Stephen McFeely (Captain America: The First Avenger, Thor: The Dark World, Captain America: The Winter Soldier….). Disney and Marvel are no doubt hoping that Endgame will be even bigger than Infinity War, an ambitious goal, even for a film as eagerly anticipated. Infinity War was a huge hit financially, breaking numerous records, including; becoming the first superhero film to take over $2 billion at the worldwide box office and becoming the fourth biggest film ever. The film was widely beloved critically with critics praising Josh Brolin’s wonderful performance (Thanos did nothing wrong) and the Russo’s ability to perfectly balance character and action. If anyone can pull it off though it’s Marvel! Avengers: Endgame is set for theatrical release in the US April 26.